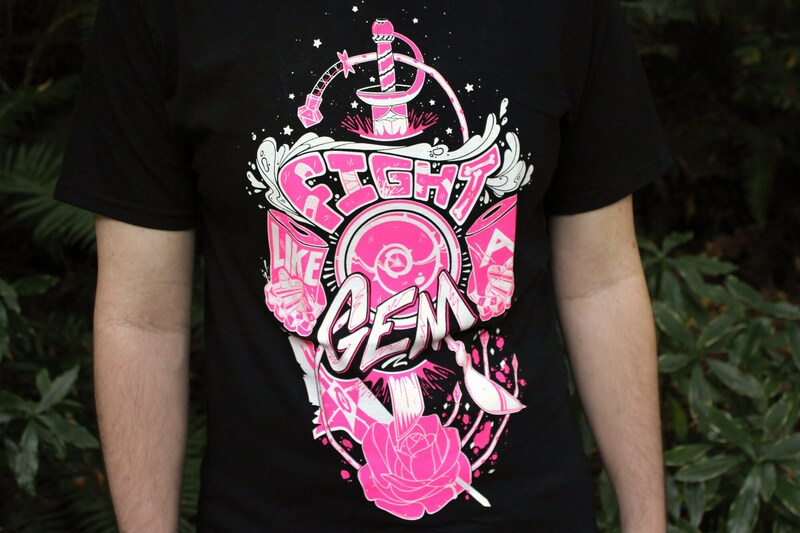 Fight like a gem! 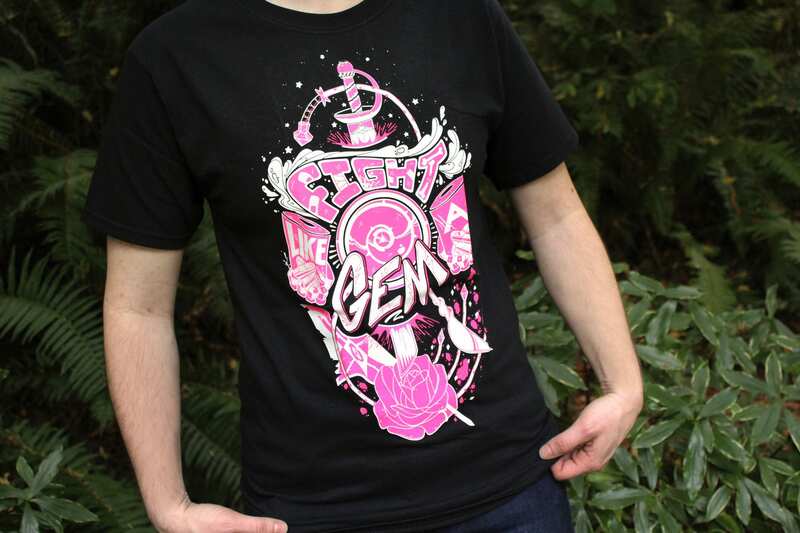 Show all your friends that you’re strong in the real way with this fun Rose Quartz Steven Universe shirt! 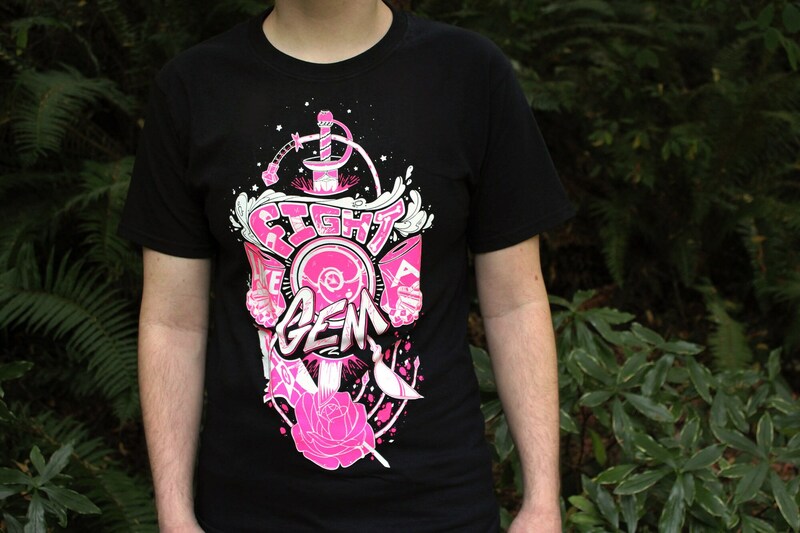 Inspired by one of the best shows I’ve seen in years hands down, this design combines the weapons of Steven, Pearl, Amethyst and Garnet in a rock’em sock’em smashup! 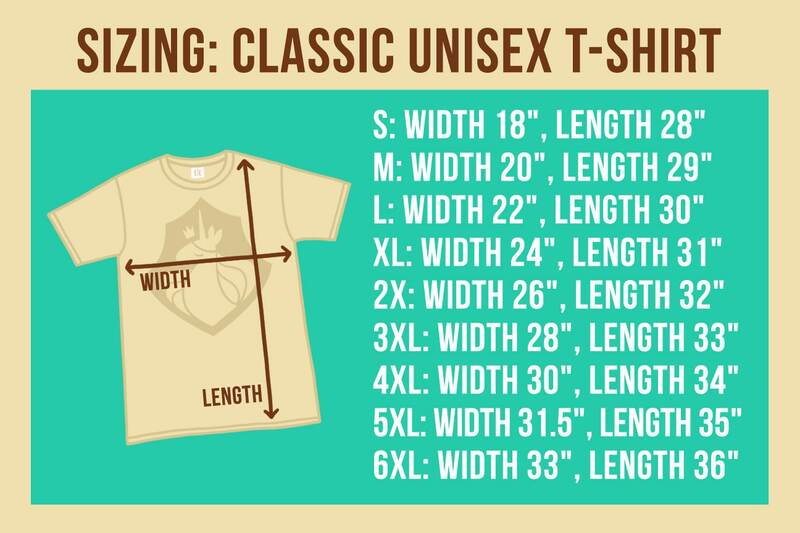 Awesome shirt! Great design and quality. Thank you!